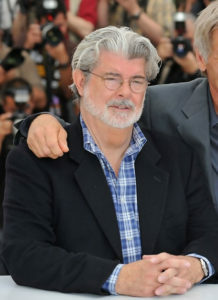 George Lucas. Photo courtesy of Wikipedia. George Lucas announced he was taking his Lucas Museum of Narrative Art project out of the Windy City due to objections to the project made by a city watchdog group. Filmmaker Lucas, of Star Wars fame, could take his project back to California. The museum was first proposed for construction in San Francisco, but that city refused to give Lucas a site which overlooked the San Francisco Bay so Lucas brought the project to Chicago where he received support from Mayor Rahm Emanuel. Several parameters have conspired to raise the price of homes in the Chicago area: mortgage rates below 4 percent; home loans are easier to come by; strongest job market since the recession; more people wanting to buy homes. And now, as the housing market enters the traditional season for home purchases, a shortage of homes has added more fuel to the fire of rising home prices. The real estate website Trulia conducted a study showing that people across the country are finding it difficult to find a home they want to buy at a price they can afford. 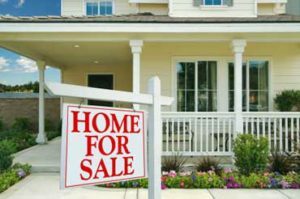 In Chicago and the surrounding area, and in Illinois in general, sales continue to rise, according to the Illinois Association of Realtors. “Illinois continues to see sustained growth in sales and median prices, indicating the market is poised for a strong rollout for the spring selling season,” said Mike Drews, president of the state Realtors group, in a statement. Home sales in the nine-county Chicago area rose by 6.1 percent in February, compared to last year, and prices rose by 7.1 percent. The median price for homes and condos sold was $187,500, compared with $175,000 in February 2015. In Chicago itself things were even worse: The median price for homes and condos was up by 12.3 percent, to $238,000 from $212,000 in February 2015. “There was a lot of movement in 2013 and 2014, but 2015 slowed,” said Carla Walker, an agent with Berkshire Hathaway Home Services Koenig Rubloff. Merchandise Mart. Photo courtesy of Phillip Capper. 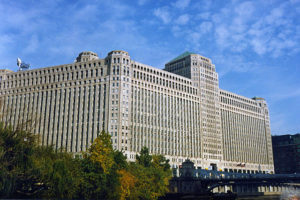 What was once the world’s largest building in terms of square footage, Chicago’s Merchandise Mart, has made some upgrades designed to get “the tenants to stay in the building longer over the course of the day, and working harder,” said David Greenbaum president of the New York-based Vornado Realty Trust. Vornado bought the property in 1998, and since then has spent $40 million on renovations to appeal to the tastes of the “millennial” crowd. “Our building, the Mart, has become the epicenter of what is this extraordinary resurgence of River North in Chicago,” said Greenbaum. The changes were made to the ground level common spaces of the 86-year-old building which sees over 25,000 people passing through each day. The centerpiece of what’s new is a 50-foot-wide marble staircase which connects the first floor with the second. The 38 steps are designed for hanging out, with enough seating for 200 people between the floors. There is free Wi-Fi and a projection screen also in the open space. At the top of the staircase visitors will be greeted with a spectacular view of the Chicago River and skyline. Also upstairs there is a new lounge with meeting spaces and a brand new food hall dishing out artisanal wares from local vendors. A food marketplace is in the planning stages, and a 5,000-square-foot green area outdoors will be a relaxing picnic space near the river. Right now the building is 98 percent occupied. There are 550 tenants, including some big names such as Motorola Mobility, 1871, Yelp, eBay, PayPal and Allstate. 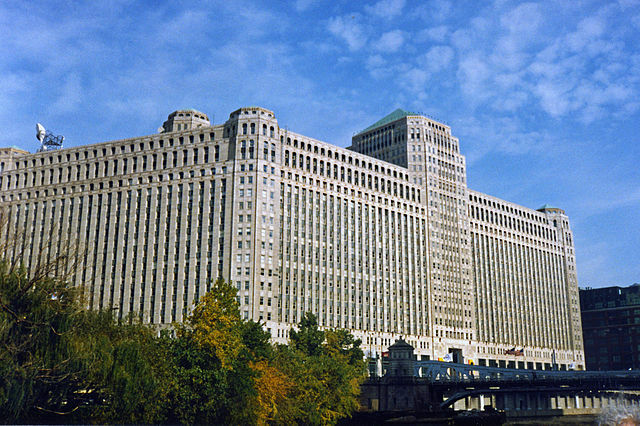 The Merchandise Mart opened in 1930, developed by Marshall Field and Co. With 24 floors and 4.2 million square feet of interior space, the building was the largest until the construction of the Pentagon ten years later. In 1945 Joseph P. Kennedy bought the building for $26 million. The Kennedy Family sold the property to Vornado Realty in 1998 for between $250 and $300 million. If Illinois residents can judge from Texas and Oklahoma, they can expect health insurance fees to rise by about 50 percent in the coming months. Chicago-based Health Care Service Corp owns Blue Cross in all three states, and they have requested a 53.7 percent increase in Texas and a 49.2 percent increase in Oklahoma, across its Affordable Care Act plans. It is not a sure thing that these price hikes will be approved, and if the exact numbers are not approved, what kind of rate hikes to expect instead. 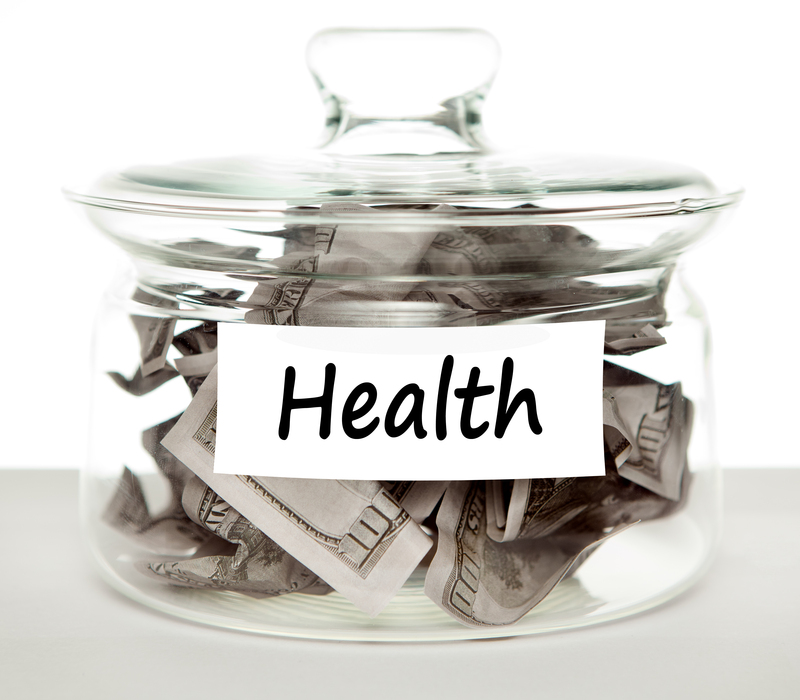 Blue Cross is the most popular insurer in Illinois, as it is in Texas and Oklahoma. Mark Spencer, spokesman for HCSC said Illinois’ proposed hikes have not been made public yet. He said it is premature to speculate about the local price hikes since pricing is based on local conditions. The Illinois Department of Insurance agreed that the rate plans proposed by Blue Cross and other insurers are still under review. It is up to the federal government to publish the new ACA rates, and are planning to do so for Illinois on August 1st, said the spokeswoman for the department, Anjali Julka. Spencer would not comment on what the company would do if the requested rate hike was not granted. Last year Blue Cross pulled out of the health exchange in New Mexico when the state’s insurance regulators turned down HCSC’s proposal to raise their rates by 51 percent.